We will always keep your data safe and secure. To give you full transparency here's why we need it and how we will use it. For all our services, the data controller — the company that’s responsible for your privacy— is The Real Flower Company Limited. You may give us your personal information when you register with us or place an order for products or services. Also, when you voluntarily complete customer surveys, provide feedback and participate in competitions. We will also automatically collect information from you when you visit our website using cookies. We want to give you the best possible customer service. To do this we gather information to better understand your customer needs so that we can offer you products, services and promotions that are most likely to interest you. The information you give us is used to process your orders, manage your account and, if you agree, to email you about our other products and services we think may be of interest to you. We use information collected when you visit our website to personalise your repeat visits to our website. The Real Flower Company do not, and will not, sell any of your personal data to any third party – including your name, address, email address or credit card information – because we want to earn and maintain your trust. In processing your order, we may send your details to companies that do things to get your orders to you, such as payment service providers, warehouses, order packers and delivery companies. We may also share your information with credit reference agencies, law enforcement and fraud prevention agencies, so we can help tackle fraud. If you approve we can also share your information with social media sites (if you choose to link your accounts to us). It is your choice about what personal information you give us, but if you don’t, you may not be able to buy from our site, and you are unlikely to receive the best customer experience. We also anonymise and group personal information from different customers (so that it does not identify you) and use it for different purposes including: testing our IT systems, research, data analysis, improving our site, and developing new products and services. We also share this information with third parties but, before we do so, we will make sure that it does not identify you. We would like to send you information about products and services of ours, which may be of interest to you. If you have consented to receive marketing, you may opt from receiving this information at any time. By clicking on the ‘unsubscribe’ link in any email from us. If you have an account with us, then log into your account and visit 'My Account' and change your account preferences. 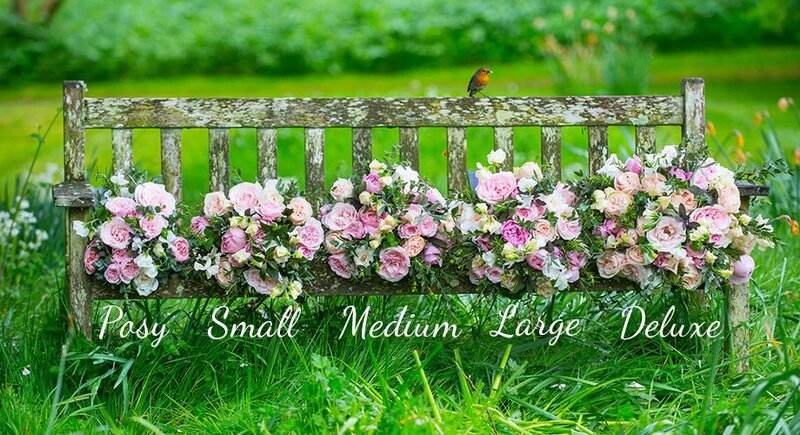 By emailing our customer services team at info@realflowers.co.uk. Please note that it might take a few days for all our systems to be updated, so you might still get messages from us while we process your request. Stopping marketing messages will not stop service communications (such as order updates or event information). We’ll hold on to your information for as long as you have your account, or as long as is needed to be able to provide the services to you, or where you have been in contact with our customer services team for as long as is necessary to provide the required support. To meet legal or regulatory requirements, resolve disputes, prevent fraud and abuse, or enforce our terms and conditions, we may also keep hold of some of your information as required, even after you have closed your account or it is no longer needed to provide the services to you. At the end of that retention period, your data will either be deleted completely or anonymised, for example by aggregation with other data so that it can be used for statistical analysis and business planning. We correct your personal data when inaccurate, out of date or incomplete. We delete your personal data if you ask us to do so. You do not have to give us a reason why. We stop processing your data when you have withdrawn your consent. Whenever you have given us your consent to use your personal data, you have the right to change your mind at any time and withdraw that consent. We stop using your personal data for direct marketing. You have the right to stop the use of your personal data for direct marketing activity and we must always comply with your request. We will not take any decisions based on your personal information where the consequence of that decision has a legal bearing on you, or is based on automated processing. If you want to exercise your rights, have a complaint, or just have questions, please contact our privacy team by email at dataprotection@realflowers.co.uk. You also have the right to complain to your data protection regulator — in the UK, the Information Commissioner’s Office. Cookies are text files placed on your computer to collect standard internet log information and visitor behaviour information. Cookies simply allow our website to retrieve information in order to personalise and improve your experience (for example, about your interactions with our website, your browsing history and any banners or ads from The Real Flower Company that you have clicked on). Our cookies do not store financial information or information that can directly identify you (such as your name or address). (3) Customer preference cookies – when you are browsing or shopping on The Real Flower Company, these cookies will remember your preferences, so we can make your shopping experience as seamless as possible, and more personal to you. By using our site, you agree to us placing these sorts of cookies on your device and accessing them when you visit the site in the future. If you want to delete any cookies that are already on your computer, the “help” section in your browser should provide instructions on how to locate the file or directory that stores cookies. Further information about cookies can be found here. Please note that by deleting or disabling future cookies, your user experience may be affected and you might not be able to take advantage of certain functions of our site and will mostly effect your user experience. We always want to hear from our customers, especially if you feel we’ve let you down or could do better. Please don’t hesitate to contact our privacy team, who will be happy to answer any questions you may have. You can contact us by email at dataprotection@realflowers.co.uk.